Small businesses are kind of a big deal in the U.S. They employ more than half of the American workforce and have created about 65% of all jobs since 1965. For many, owning a small businesses is an undertaking that spends years in the works. In fact, about 42% of all entrepreneurs claim to have launched their first business ventures as children. 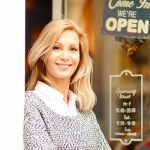 A number of them find out, however, that small business ownership has no shortage of challenges. In 2011, 600,000 small businesses were denied loans, though 38% of applicants needed them simply to maintain inventory. Cash flow problem plague many new business owners, and improving cash flow through small business loans is a solution that just isn’t available to everyone. Here, we’ll look at four simple cash flow solutions for the burgeoning business. Have a sale. It’s not just for big-box and retail stores. Offering a special promotion like a discount on major purchases or a special bonus for clients who sign up within the next two weeks can drive sales and get you out of your rut. This isn’t a solution that can be utilized every week, but a well-placed, occasional sale might provide a great boost. Notify your customers and leads of your special promotion via email or social media, and don’t forget to add a deadline. Raise your prices. Don’t do it without a little showmanship, though. Announce to current and past clients and customers that prices are going to go up on a particular date, and be sure to explain why. Then, give them an opportunity to either renew their contracts or stock up on product before the price increases. This gives you a boost now and increases your profits in the future. Get bundling. Offer discounts for customers or clients who pre-pay for large quantities of goods or services. Even though these cash flow solutions decrease your profit in the long run, you’ll get the cash you need sooner, and you’ll probably keep clients longer. Clean house. Is your home, office, or storage unit playing host to things you aren’t using? Extra materials, inventory, and equipment can be sold for quick cash, and extra office space can be sublet to someone who needs a workspace. Not only will you be clearing out some clutter, but you’ll net some cash to get you through a tough spot. Another option is to accrue a little debt. As long as loans are used intelligently, they can be excellent cash flow solutions. Whether it’s a credit card or a small business loan, taking on a monthly payment might not be a bad price to pay for some help up front. Nobody ever said that running a small business is easy. If you’re in a tight spot, don’t give up yet. There are plenty of options out there for companies who need a little help with cash flow.